Pocket songs karaoke music cds from Canada. We are canadian distributors of Pocket songs Karaoke. 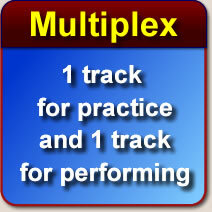 The Screen Tracks Series Produced By Pocket Songs is one of their many series dedicated to providing Karaoke Singers with Songs and Music in Multiplex Format. This Format includes Lead Vocals giving the listener an opportunity to learn the phrasing and melody of a particular song and a second track with only the background music for Karaoke Performance. Pocket songs karaoke cdgs are of many genres from childrens, gospel, christian, christmas, rock, pop, country music just to mention a few. Within this category are discs containing medleys of Old Time Sing-a-long songs which can be sung by everyone and other discs for the more professional voices of persons who wish to sing songs of such notable Artists as Whitney Houston, Neil Diamind, The Platters, Frank Sinatra, Elvis Presley and th list goes on. These discs are all original product produced and wrapped by the Manufacturer and distributed in Canada, The USA and World wide by All Star Karaoke In Winnipeg, Manitoba and on the Web Site at asapkaraoke.com. AllStar Karaoke is a registered name Licensed to and owned by All Star Karoke of Winnpeg Manitoba and any person or company using this name in any form is guilty of copyrite infrinfgement.